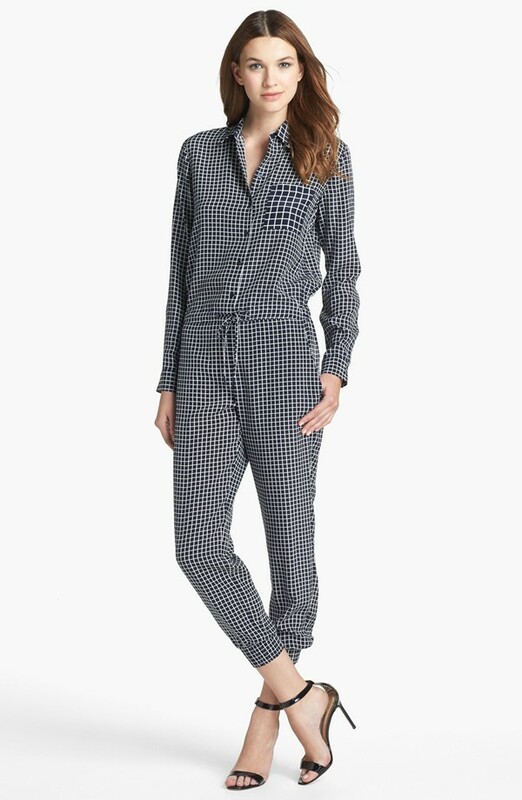 Her windowpane check silk jumpsuit features a drawstring waist, button front, chest pocket, and elasticized cuffs. I’m not in love with this jumpsuit, but I do like Khloe’s hair! Snag the piece at www.shopbop.com. *Kourtney tagged along with Khloe in a polka dot playsuit, a Moschino logo belt, and $1,330Tom Ford Pumps. What do you think of her look? West Coast rapper Game has stepped up to silence rumors and speculation which suggest celebrity Khloe Kardashian may be cheating on her NBA husband Lamar Odom with him. Photos of the close friends surfaced online this week, sparking widespread gossip. The Game told TMZ that he wasn’t shagging Khloe Kardashian, despite reports to the contrary. Photos surfaced today showing Game and Khloe — who’s married to Lamar Odom — hugging it out in L.A.’s Runyon Canyon Park last month … where Game’s been doing a “60 Days of Fitness” program. Game has since come forward to affirm Khloe is a friend and not a potential love interest. Kim, who is expecting her first child with rapper boyfriend Kanye West, reportedly began feeling sick as she flew home from France. After getting off the plane she sought medical attention, and doctors gave her the all clear after advising her to take it easy, slow down, and cut back on her hectic schedule for the remainder of her pregnancy.